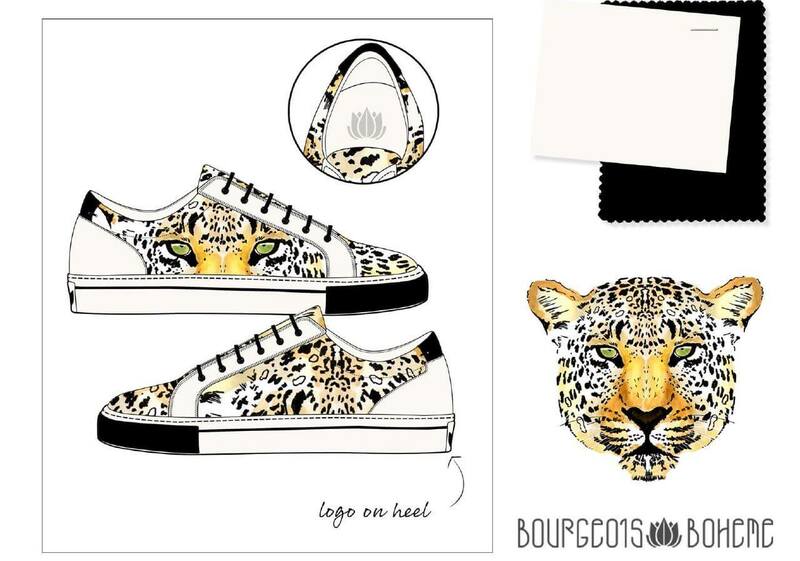 Cardiff – The entries have been evaluated and a winner has been chosen: fashion illustrator Laura Hickman, 35, from Cardiff, has beaten applicants from around the world to win the sneaker-design contest launched by luxury vegan shoe label Bourgeois Boheme in collaboration with PETA. Many aspiring designers leapt at the chance to kick-start their careers by submitting designs for a new animal-free unisex sneaker, but it’s Hickman’s shoe that stood out and will go on sale in autumn/winter 2016. The winner was selected by celebrity judge and teen model Anaïs Gallagher. A photo of the winning design is available here. From the carbon emissions produced by cattle to the toxic tannery chemicals that pollute nearby water supplies, the leather industry has a terrible impact on the Earth. PETA – whose motto reads, in part, that “animals are not ours to wear” – notes that in addition to being “greener”, vegan materials spare animals horrors such as castration, branding and tail-docking. Bourgeois Boheme is one of a growing number of designers and retailers – including Stella McCartney, H&M, Vivienne Westwood and ASOS – that recognise the huge demand for animal-friendly fashions and offer their customers shoes, bags, purses and belts made from modern, high-quality fabrics which don’t cost the Earth or harm a hair on an animal’s head.